Amore has arrived in Eastcote at 107 Field End Rd, Pinner HA5 1QG . Why not go along and give them a try. There is a fine selection of delicious treats available. 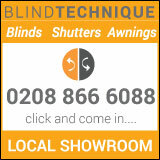 Please mention you found this business on Eastcote Local.